Our great range of Privacy Curtains can be used for most strollers to provide privacy for your infant to toddler during nap time, give shade for them to sleep in and even act as an additional barrier to insects. Our Privacy Curtains are designed with style and comfort in mind, and can are made from 100% breathable cotton. All our Curtains are universal and include matching ribbon ties to keep them secure. When you buy a baby Privacy Curtain online with Bambella Designs you can be certain you will receive unique, high quality products. Machine washable, dry low heat. 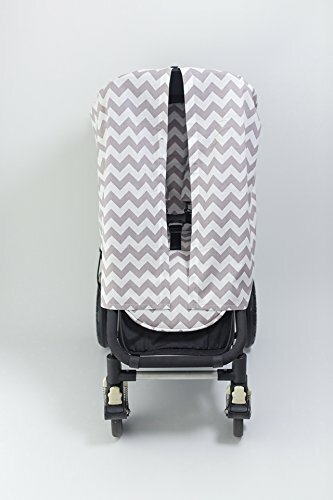 Easy to install - simply drape the cover over the hood of the stroller and use the included ribbons to attach to the stroller.